This is a first part of a series of collaborative releases between KicDrum Products and Lost Records. 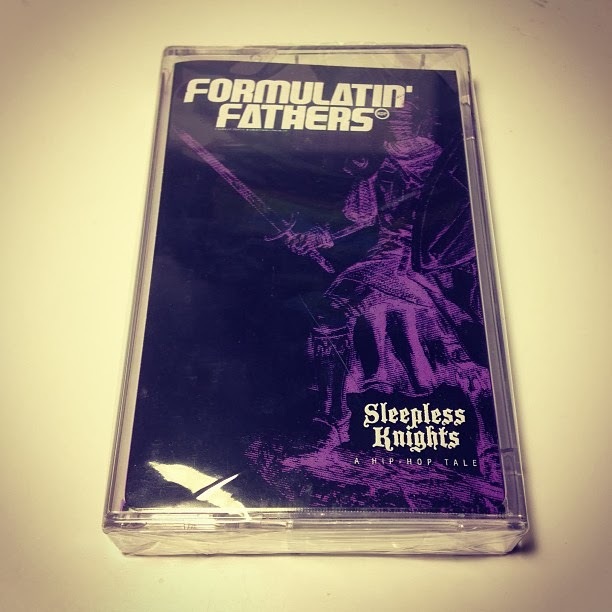 This Sleepless Knights cassette reissue features unreleased bonus tracks not found on the original. Limited to 200 copies. 150 on smoky transparent black shells and 50 on transparent purple shells with full color J cards. Many consider this album to be one of the illest pieces of Hip Hop history from the mid 2000 era. Drumat!c and Need Not are two ill cats from Rhode Island and Philadelphia, formerly known as Formulatin' Fathers. This was their only release together and it is a gem from the beats to the rhymes. Hard analog production from Drumat!c gives this album it's signature sound.